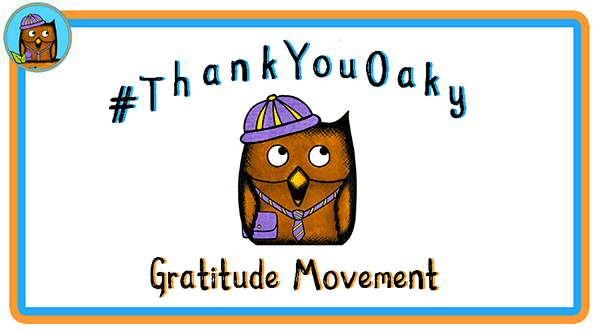 What is the #ThankYouOaky Gratitude Movement? Gratitude has been proven to increase happiness, improve health, reduce anxiety & build self-esteem. The #ThankYouOaky campaign is a movement that aims to teach children about gratitude and to introduce this practice into the daily routine of every childcare provider. Our simple method makes it easy for every childcare provider to implement a 5 minute routine into their day. Our free pack explains the importance of gratitude, why we should teach children about it and guides you step by step through a simple & effective technique that will have your children & staff beaming with happiness.